Want to know what to expect when you move in to Halls of Residence? Check out our 'moving in' guidance. If you're an existing student already living in halls, there's also lots of reasons to return to halls. 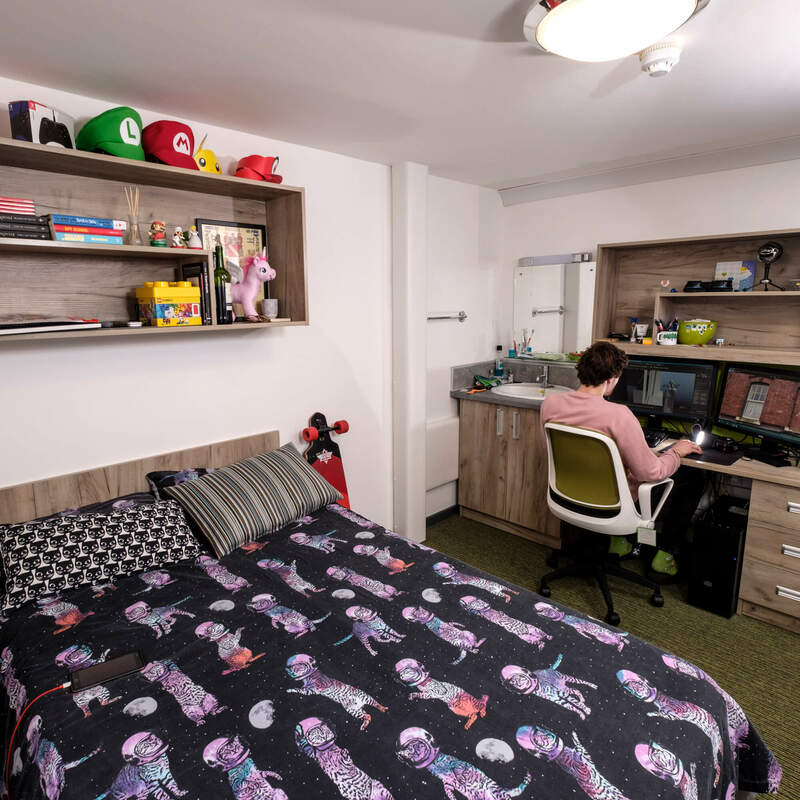 Room types in Halls of Residence at the University of Derby. 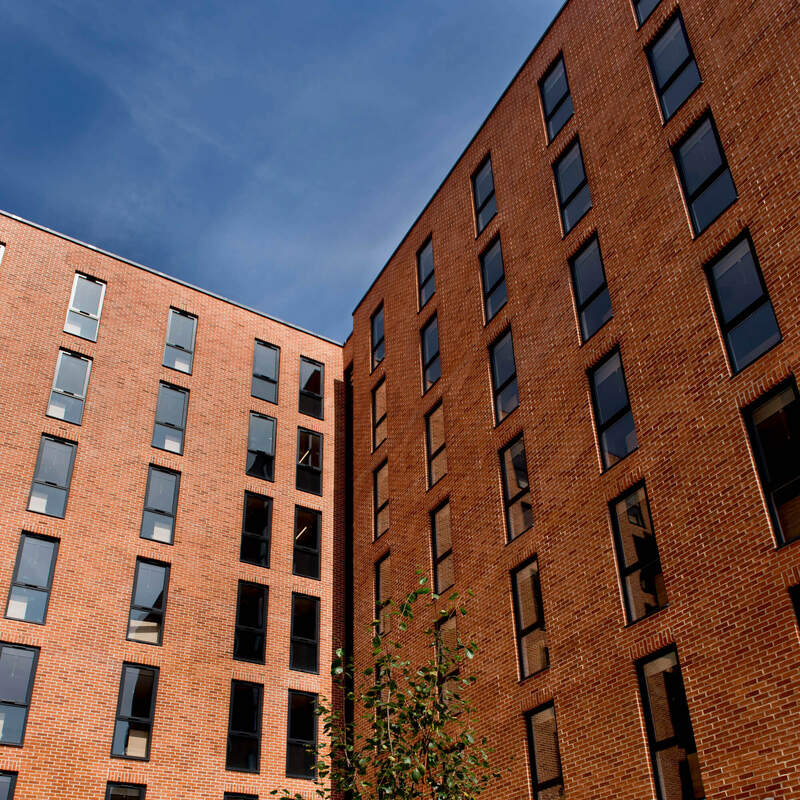 The University of Derby's halls of residence were winners of the Best Customer Service Award at the 2018 National Student Housing Survey Awards. They were also shortlisted for Best Booking Experience and Best Environmental Management and they were awarded a quality mark for international accommodation. 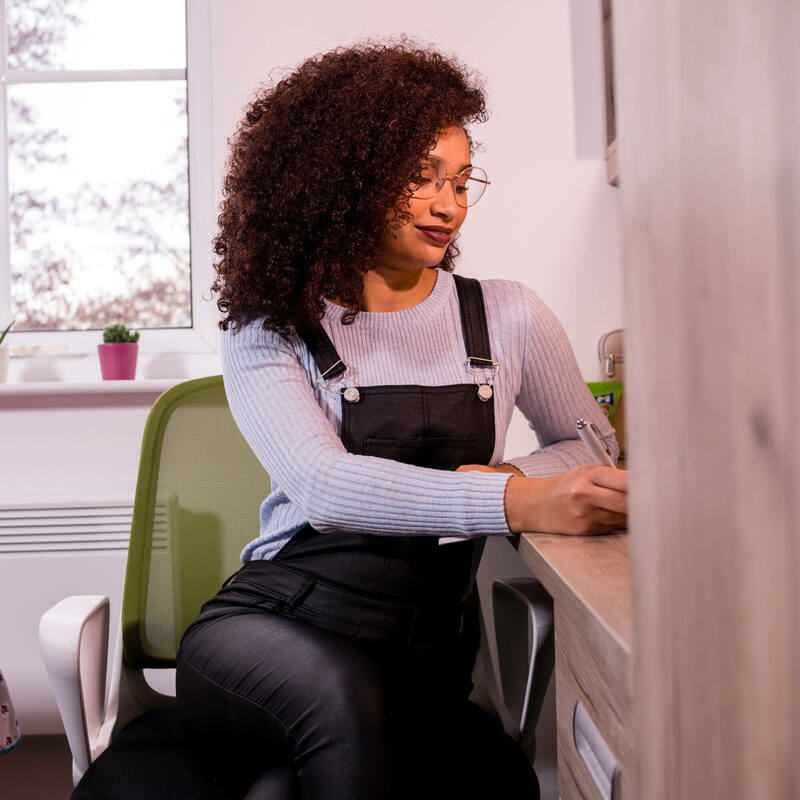 If you want to know more about our accommodation, including prices, visit our Frequently Asked Question page to find out if we've got it covered - or alternatively contact us and we will be happy to answer any questions you might have. If you’d prefer to rent a private property, we can help you find the right place through our landlord accreditation scheme. Ready to apply for halls? If you're looking to start in September and have accepted your offer to study with us, it's time to apply for halls.